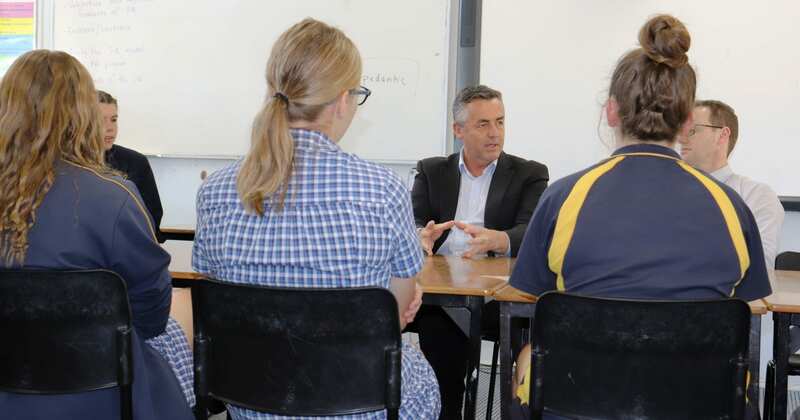 Caption: The Nationals Member for Gippsland Darren Chester is encouraging local students interested undertaking further study in science, technology, engineering, mathematics, health or agricultural science to apply for a Federal Government scholarship worth up to $18,000. A multi-million dollar scholarship fund is now taking applications from local students who need financial help to further their education in Science, Technology, Engineering or Mathematics (STEM). The Nationals Member for Gippsland Darren Chester said more than 1200 government-funded scholarships worth up to $18,000 were available to students living in regional, rural and remote areas across Australia. “This is a great opportunity for Gippsland students who want to study STEM subjects, health or agricultural science at tertiary level to get a helping hand from the $24 million Rural and Regional Enterprise Scholarships Program,” Mr Chester said. “The scholarships are available to students to help with the costs of studying STEM at university or at a vocational education and training institution, whether they are studying for a certificate IV or a PhD. “New guidelines will also make it easier for drought-affected students to apply, including families receiving the Farm Household Allowance. “We want more regional students to complete their schooling and go on to further study, training and employment. Affordability of further education is a major obstacle. “Year 12 students are now beginning to look beyond their final year of secondary school. For many, there’s still an enormous amount of uncertainty about whether they and their families can afford for them to leave home to continue their education. The scholarships may also include internships to help students develop their professional experience and ensure they are job-ready. They may be awarded for periods from six months to four years full-time, or the part-time equivalent. Applications for the Rural and Regional Enterprise Scholarships Program close on Friday February 1, 2019.